The undergraduate major in ecology and evolutionary biology is designed for those students interested in the basic principles underlying organismal change over time, and how organisms interact with each other and their environment. The major is very diverse, and encompasses a wide variety of approaches. Courses cover topics in molecular biology, physiology, population and community biology, and ecosystem-level processes. In addition to University and School of Biological Sciences Requirements, requirements for the major include statistics (Formerly Bio 7, this course will now be offered by the statistics department), E106 and E 107. E 106, Processes in Ecology and Evolution, is a prerequisite for nearly all upper division courses in the major, and should be taken as soon as feasible. This course is now offered twice a year, in the fall and spring, which should provide majors with flexibility in scheduling. E 106 could be taken as early as the spring of the freshman year, after completion of Bio 93 and 94. Majors are also required to enroll in E 107, Seminar in Ecology and Evolutionary Biology, where invited speakers present current research in ecology and evolutionary biology. Majors in ecology and evolutionary biology are also required to enroll in E115L (Evolution Laboratory), and E166LW, Field Methods in Ecology. In E115L, students carry out experiments demonstrating key concepts in evolution. 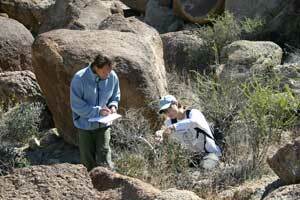 In E166LW, students participate in class field experiments, and design their own independent field research project. Field Ecology is also an upper division writing class. One other lab, selected from an extensive list (D111l, E112L, E161L, E179L, M114L, M116L, M118L, M121L, M122L, M124L, N113L), is also required for the major. In addition to labs, four additional upper division biology electives are required. One of these courses must be from Biological Sciences D103, D104, D105, E109, and N110, and the remaining three must be four-unit courses chosen from Biological Sciences E118-E190 and D147. Students in the major are very strongly encouraged to carry out Biological Sciences 199, Research. Students enrolled in Biological Sciences 199 participate in research under the direction of faculty. Independent research often culminates in Excellence in Research, which involves preparation of a research paper, a poster, and participation in a symposium where students present their work to faculty and other students. Students interested in the Major in Ecology and Evolutionary Biology should also be sure to check the most recent version of the General Catalog for any changes in course offerings, and additional details about the major.